Me channeling my inner pirate! Puerto Vallarta was our last stop on our Mexican cruise. After this day we would have two full days steaming back to California. 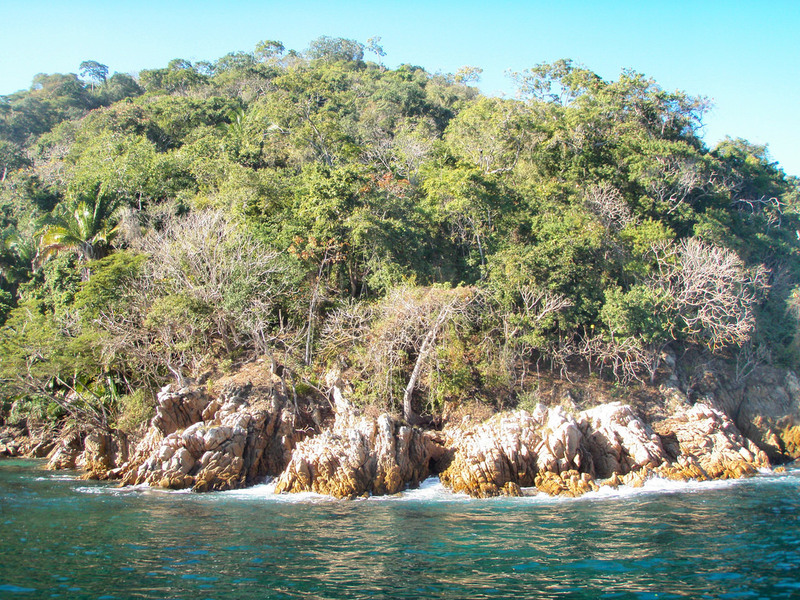 We arrived on a beautiful day to Puerto Vallarta and departed from the boat for an early morning excursion. 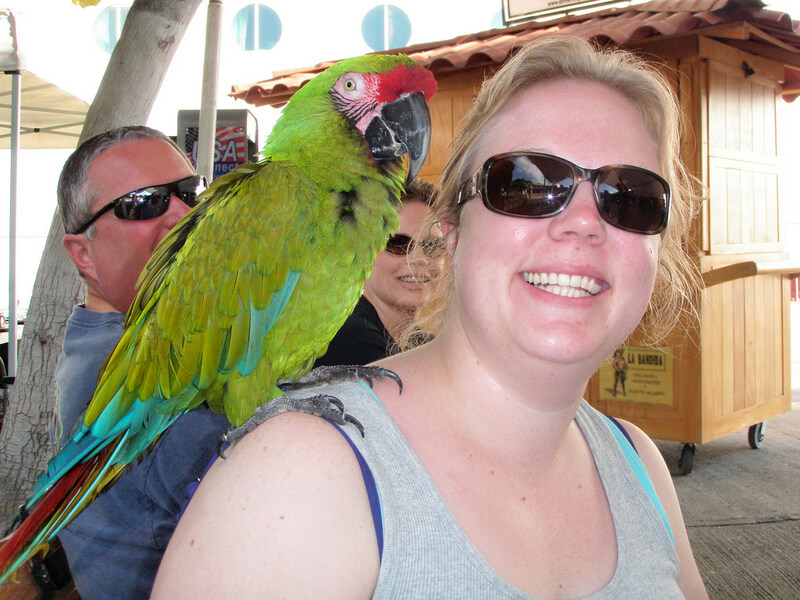 While we filled out information form the excursion, Laura and I made friends with this Green Macaw. I’m pretty sure this resulted in me thinking I was a pirate for the rest of the day. And let’s be honest – I do love rum! 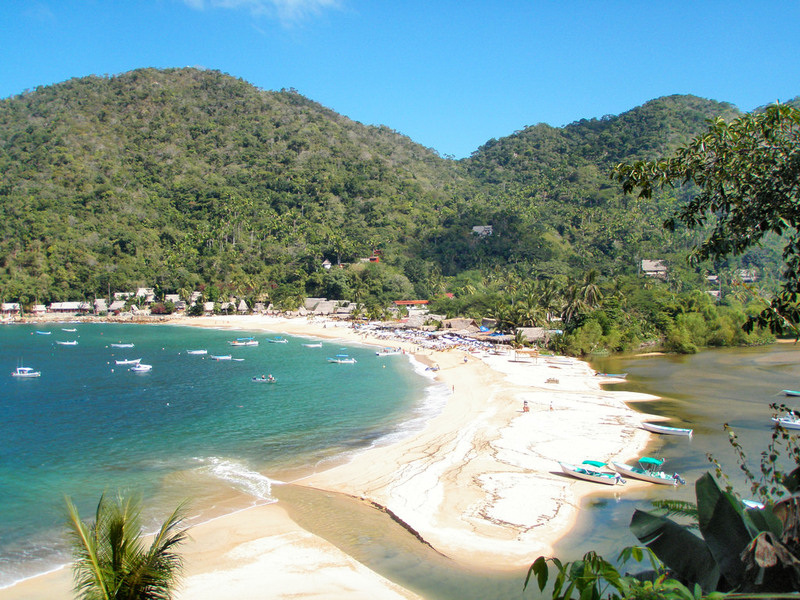 Our adventure for the day started out with a catamaran ride to Majahuitas for snorkeling and then a relaxing afternoon on the beach in Yelapa. The ride out to Majahuitas was picturesque and much more my style. The other places we had stopped on our cruise were very “deserty”. The desert is nice but when compared to lush jungle like scenery, this girl likes green much more than brown. 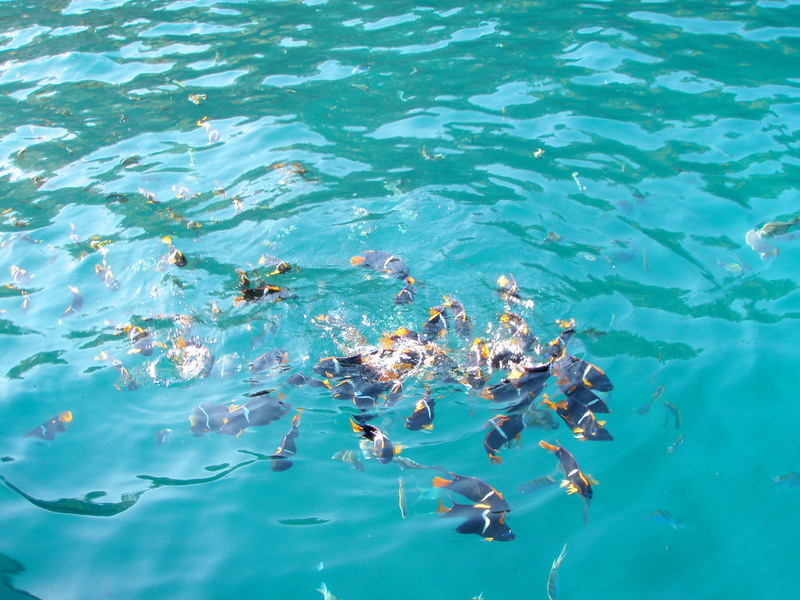 We arrived at our snorkeling spot and jumped in. The water was surprisingly warm for January. Although my camera was apparently waterproof I was too scared to submerge it in the water, so I only took above water photos of the fish we saw. This little guy liked to chase bricks in the ocean! 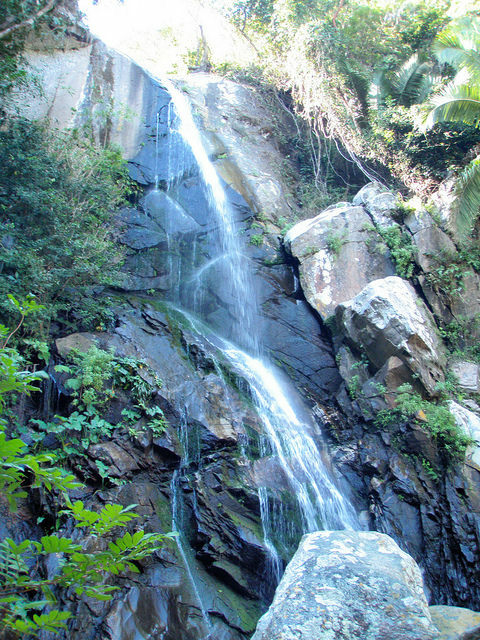 We ate a light lunch and made our way to Yelapa, taking a small hike in to a waterfall and then to the beach. 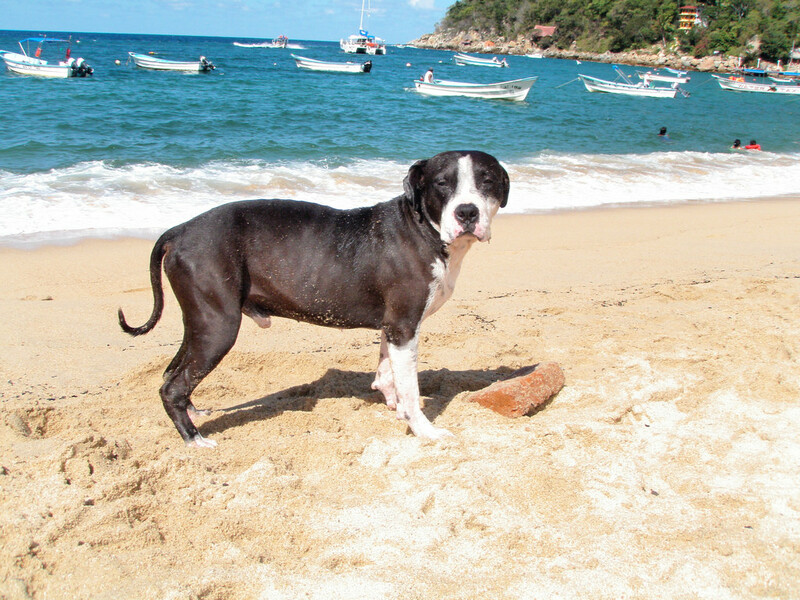 As dog lovers, Laura and I found a dog to play with, who was fetching a brick from the ocean. It looked to be hard on his teeth but he appeared to be having fun. In the information for the excursion we knew that on our way back we would have some music and one alcoholic beverage included in the price of our tour. After we boarded the catamaran for our return trip I soon realized that our guides were more of the “one after another beverage” philosophy. Just a side note on me (and apparently everyone else on the catamaran), if it’s free booze and you put it in front of us we will drink it. By the time we returned to Puerto Vallarta most of us were less than sober. Luckily Laura and I did not wander far from the port and stayed within site of the boat for the rest of the day. We thankfully decided to get some food from a small restaurant located near the boat to help soak up our booze. Unfortunately because we were in Mexico we also decided to have a margarita with our meal. I will not post them but I can now see the progression of drunkenness in our photos. At this point we had already missed our 6pm dinner seating on the boat. The ship departed at 7pm so we decided to make the most of our last few minutes in Mexico with spending our time at the last bar before getting back on the boat. Was it a good idea? Hell no! Did we know it was not a good idea? Hell no! We were having a great time. Laura even met the future Mr. Laura. Their love affair did not last past our visit to the bar, but at least it was special while it lasted. It was around 6:50pm when I finally came to realize we should probably get on the boat. Although we were right next to the boat, 10 minuets in our state might as well have been 10 seconds. We did make it back to the boat in time and secured our voyage back to California. Just in case you were wondering – if you do miss the boat and it is your fault, it is your responsibility to get yourself back to either the next port or back home. Luckily we did not have to do that. We stumbled back to our room and Laura laid down for the night. I was in better shape than Laura and decided to grab a quick meal at the buffet and played a few rounds of slots in the casino. I turned in shortly later after I had donated my gambling money to the cruiseline. It was somewhere around 3am that Laura came back to life. She woke up and took a shower. I thought it was strange but we were in an interior room, which meant it could be high noon and you would never know what time of day it was. After her shower she preceded to get ready for the day. At this point I was becoming annoyed. She turned on lights, used her hairdryer and made all sorts of noise. I assumed she thought I was sleeping in, so she threw back the curtain separating the sleeping area from the living area, and allowed the light to stream in. “It’s 3am” I hissed as I yanked the blanket over my head. some of the perks of getting out of bed while on a cruise, seeing sea life! She did not say a word, just turned off the lights and returned back to bed. Oddly enough I woke up at 6am and left her in the room sleeping. Considering she was ready to go at 3am I was shocked that she did not get up with me. 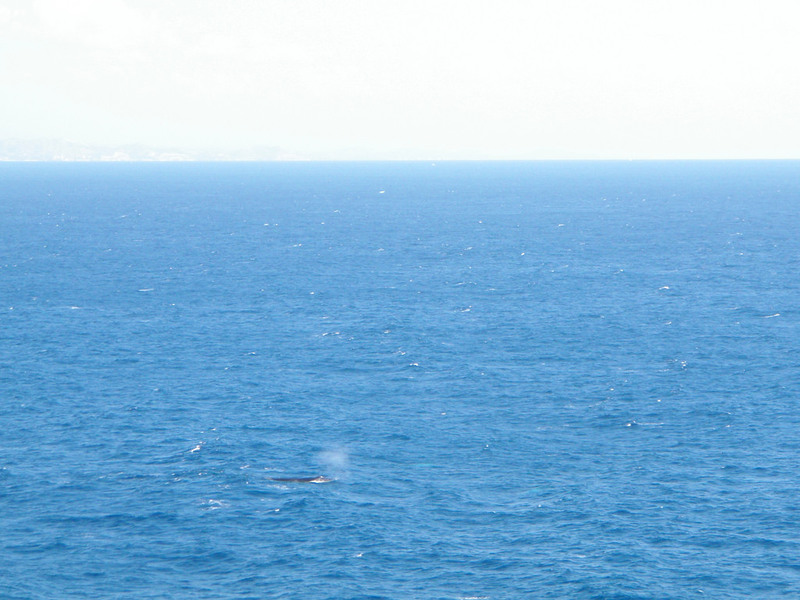 I did my normal morning routine of a few laps around the track on the deck, watched a some whales swimming, even one who breached, which was pretty exciting to see. I grabbed a quick breakfast and returned back to the room where Laura was still sleeping. She surfaced around 11am for lunch and mentioned how mean I was at 3am. Uh yeah, no kidding – it was 3am. I will admit this trip has changed the way that I travel. Although I was traveling with a friend, we were both pretty compromised, which can lead to a dangerous situation. Luckily nothing happened other than I lost my sunglasses… no big deal I know – but they were may favorite ones and now they are a Mexican resident. Now, especially as a solo traveler, I never drink to excess as I do not want to put myself into a situation that I should not be in. I also live by the motto of being drunk and hung over is for being at home. You spend a lot of money to travel it should not be wasted on being hung over. Tagged travel mishaps. Bookmark the permalink. So glad all ended well! The images look awesome too.